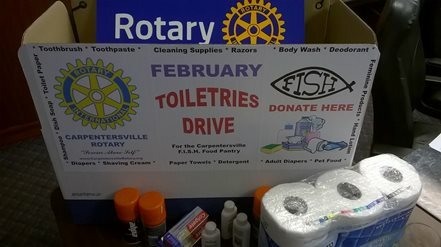 Our month long Toiletries Drive for the Carpentersville FISH Food Pantry is back for the 5th consecutive year! Throughout the entire month of February 2017 we will be collecting any toiletry items and donating them to our local food pantry. More information on how you can help coming soon!